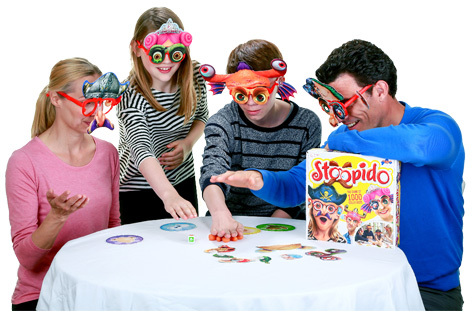 Described as "the game of 1000 silly faces" Stoopido is a wacky and completely bonkers game that is designed to appeal to the whole family. The concept is simple. 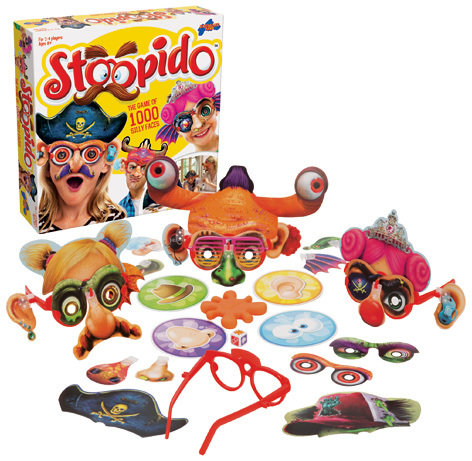 Players must don a pair of red Stoopido spectacles and take it in turns to roll the dice and race to slap the matching face feature or squeeze the squeaker. The fastest player then chooses a funny face part for someone else... and the last player with a full face wins! 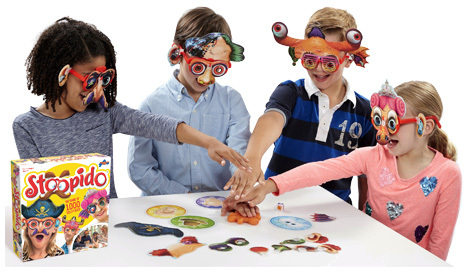 This is a merciless game which will keep everybody laughing throughout. The seemingly endless combinations of colourful facial parts ensures some brilliantly funny results. Please tell us what you think of Stoopido by Drumond Park.